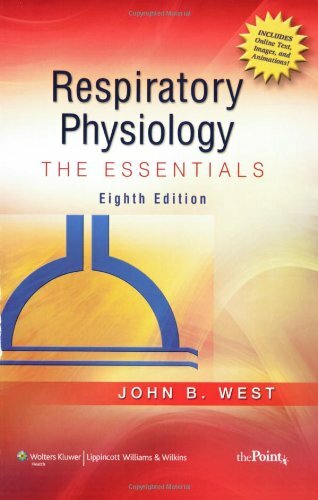 Widely considered the "gold standard" textbook for respiratory physiology, this compact, concise, and easy-to-read text is now in its fully updated Eighth Edition. New student-friendly features include Key Points boxes at the end of each chapter and USMLE-style questions and answers with full explanations for all answer choices. A companion Website will offer the fully searchable text, plus animations that illustrate difficult physiologic concepts.